If you’re in need of a reliable, responsive and competitively priced excavator transport provider, Cargoconnect can help. 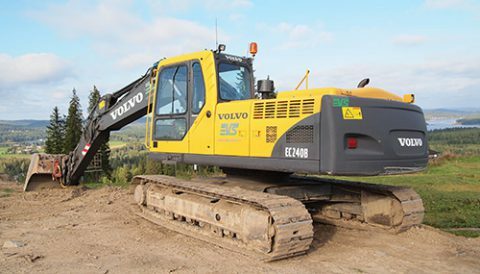 Excavator haulage requires additional care and consideration due their size, weight and value. Our trusted logistics partners will ensure your excavator and its components are loaded, transported and delivered with the highest levels of safety and care. At Cargoconnect, we understand that downtime is costly when transporting your heavy machinery, which is why we are committed to providing the most time efficient, yet safe, excavator transport solutions no matter the destination. We’ll have your excavator unloaded and back to work in the shortest possible time. Cargoconnect offers excavator transport to all locations throughout Australia including Brisbane, Sydney, Melbourne, Darwin, Perth & Adelaide. We can also handle excavator haulage to rural and remote destinations such as mining sites. With over 30 years experience, and a commitment to providing the highest levels of client service, you can trust Cargoconnect with all of your excavator transport needs. Call now on 1300 580 838 to speak with an excavator transport expert.